It actually took me quite awhile to settle on the one I wanted to color. This kind of reminds me of the zentangle art I keep seeing more and more of. This was strangely addictive and fun to do. I was able to put the Polychromos to good use! Back to the natural world tomorrow, and I hope I’ll see you then. Great job keeping up your posts and keeping them interesting. I love the alphabet idea – may try it. 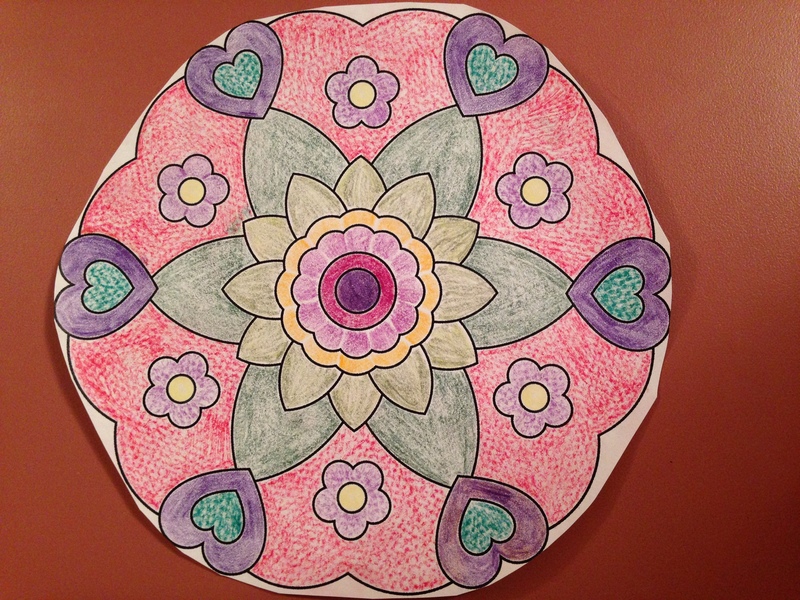 Thanks for the link – I love mandalas! Great, I hope you find some you like! I’m working on one too at the moment, it’s so relaxing. …and appropriate for Valentine’s Day too! Good job.